Join us in honoring Gary Metzner while supporting Art Encounter's mission to educate, empower, and connect our community through art! Raffle tickets for our 30 bottle instant wine cellar, curated by the Art Encounter Board! I can't attend the event, but I'd love to help make a difference! Support Art Encounter's mission to educate, empower, and connect people through art! If you would like to make your gift in honor of someone special, please call us directly at 847-328-9222 or email Annie at annie@artencounter.org. I have read and agree to the Terms and Conditions and give my consent to Art Encounter to process my personal data. I understand I can revoke this consent at any time. At Art Encounter we believe that there are many ways to see, and that art can be a powerful vehicle to better understand ourselves and the world around us. Our mission is to educate, empower, and connect people through interactive encounters with visual art. The proceeds from our Spring Gala directly support our community outreach initiatives for children and seniors in Chicago and beyond. Many of the children we serve attend schools in underserved communities with little to no art programs. Last year, we reached over 2,100 youth. We want to continue to grow that number in 2019. On Sunday, May 5, help support Art Encounter while enjoying live jazz, delicious cocktails and hors d'oeuvres, an art auction, a wine raffle, and more at the beautiful Woman's Club of Evanston. This year we are delighted to honor Gary Metzner, Senior Vice President of Sotheby's Chicago and their Head of Office for the Midwest, whose energy and passion for visual art has contributed greatly to the vitality of Chicago's art community. Mr. Metzner joined Sotheby's in 1997 after working as the Director of Fine Art for Leslie Hindman Auctioneers since 1993. Previously, he was Director of Hokin Kaufman Gallery in Chicago. He is a generalist in paintings, prints and sculptures from Old Masters to Contemporary painting. Mr. Metzner can be seen on Chubb's Antique Roadshow on PBS and appeared weekly on the Home and Garden Television programs "At the Auction" and "The Appraisal Fair" and participates in Heirloom Discovery Days across the country. As an auctioneer he has also conducted hundreds of charity auctions throughout the Midwest including "Cows on Parade" and the Banner auctions for the City of Chicago. 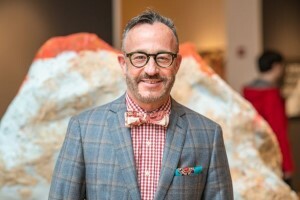 A graduate of Indiana University with graduate studies in Art History at the University of Chicago, Mr. Metzner is a recipient of the Plummer Scholarship in Fine Art and is the former president of Threewalls Arts Organization. He sits on the boards of the Richard H. Driehaus Museum; the DePaul University Art Museum; Chi Arts: The Chicago High School for the Arts; and the Old Master Society of the Art Institute of Chicago. He is a member of the Arts Club of Chicago and sat on the advisory panel for the Legacy of Absence Gallery at the new Holocaust Museum and Education Center in Skokie. Questions? Please contact Annie Trincot.